Strong Poles is committed to providing additional options for wireless antennas and technologies. Installers have traditionally mounted antennas to existing light poles by any means possible, but have encountered difficulties because the pole sometimes blocks part of the signal – especially for omnidirectional antennas. Most of these antennas are designed to quickly mount on a small 1”-2” mast, and it is a challenge to adapt them to other mounting scenarios. 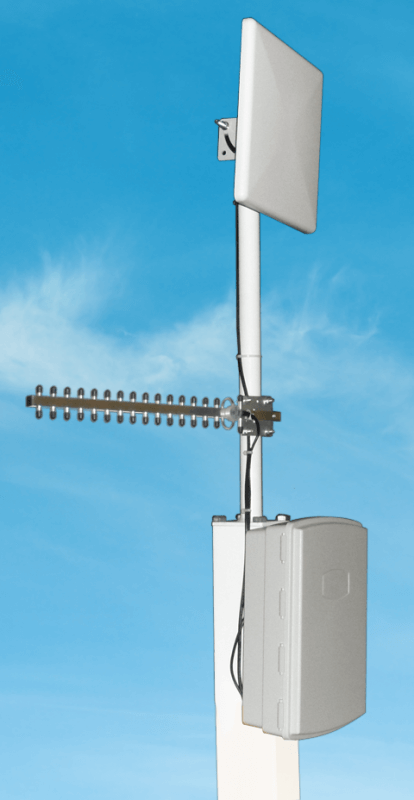 Clearly, providing the mast and getting these antennas in free air with no blocking structure, is an advantage that speeds installations and increases height and signal coverage. The Top Mount Mast is constructed with 1-1/2” aluminum tubing and attaches to the top of any 4” Strong Pole via a 4” square plate that is 1/4” thick, and is fastened with four 5/8” bolts (provided). This 30” high mast is tall enough for the largest parabolic antennas, multiple patch antennas, if needed, or one or more Yagi antennas. The top end is capped with a weatherproof plastic cap insert. The 8X10 Mounting Platform Mast (or Birdhouse Mast), is also constructed with 1-1/2” aluminum tubing and attaches with four bolts or self-driller screws to the blank side of the 8X10 Mounting Platform (Birdhouse) via two 1-1/2” x 4” aluminum straps that are 1/4” thick. This mast is 39” long and rises 29” above the edge of the Mounting Platform it attaches to. This mast can also hold the largest parabolic antennas, multiple patch antennas, if needed, or one or more Yagi antennas. 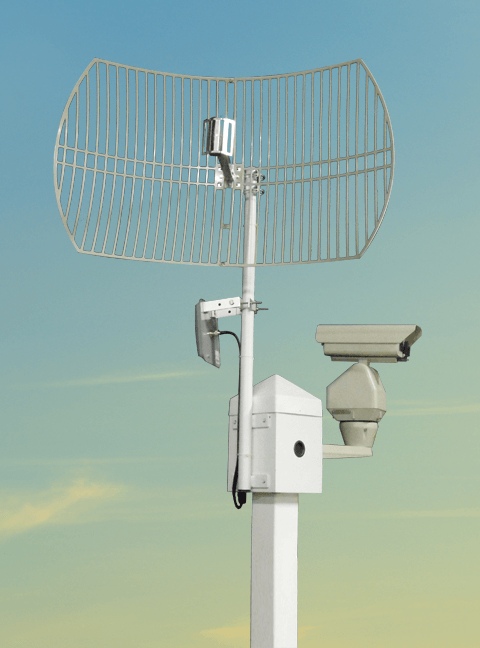 Both ends of this mast comes capped with weatherproof plastic cap inserts. Both of these masts are rigid and sturdy enough to hold even the largest antennas without bending.